Edited by Marco Mejía Acosta, Análisis Laboral is a specialized publication for in-depth analysis of socio-economical aspects, labor law and social security. In this publication we find a diagnosis of labor reality, as well as legal and statistical information with an objective and detailed perspective on labor relations and social security. Análisis Laboral has more than 460 edited issues, which are published monthly. This magazine offers its subscribers a supplement, Informe Laboral, included in the subscription price and on a monthly basis. Av. Pedro de Osma 402, Barranco, Lima 04, Perú. The Association is saddened at the passing of Dr. Luis Aparicio Valdez, Director of Análisis Laboral. To view Análisis Laboral‘s “In Memoriam”, please click here. The current Director is Luis Durán Rojo. Information on current and past issues is available online. 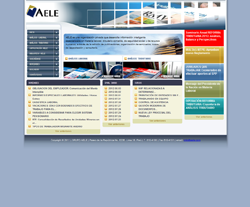 A subscription to Análisis Laboral can be ordered online.